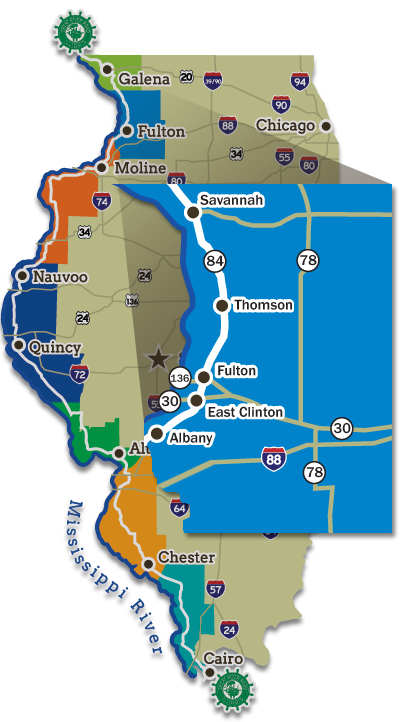 The Blackhawk Waterways of Northwest Illinois awaits your exploration and offers 2,700 miles of experiences, attractions and adventures! We are an outdoor-recreation paradise with 10 state parks, great golf, hiking & biking trails and the Rock & Mississippi Rivers. The Lincoln Highway & Great River Road Scenic Byways go through our region where you will find a variety of historic sites including Reagan & John Deere and charming small towns offering eclectic shopping, unique eateries, cultural happenings and a variety of lodging options.